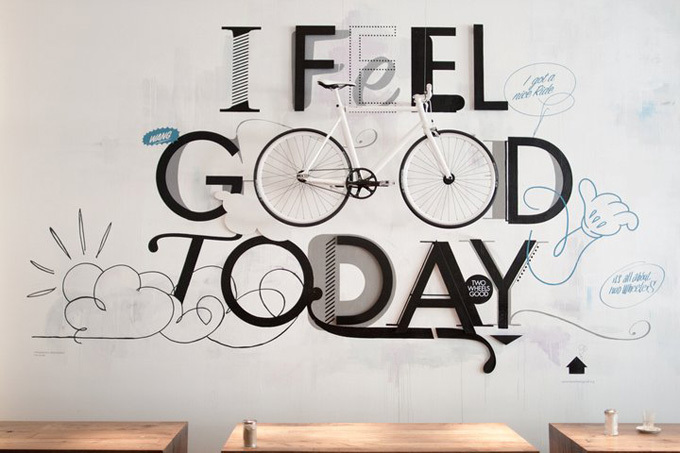 This entry was posted in art, happiness, optimism and tagged 3D wall art, bicycle, coffee bar, erste liebe, Germany, good design, Hamburg, hamburg germany, Niels Bruschke, positive influence, positive mood, Santiago Design, Viktor bike, wall decor, whimsical wall decor, whimsy by Lila Cheekytree. Bookmark the permalink. 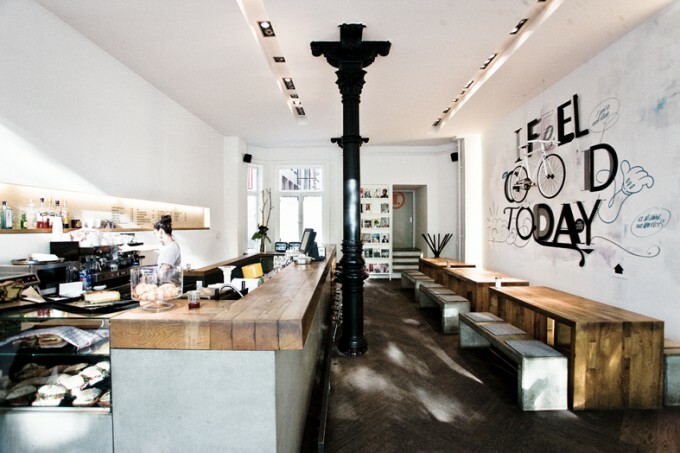 I want to be in that coffee bar right now…..what a wonderful environment! I feel good today. Now that would be an inspirational kitchen.